Lidwien Kapteijns is a professor of history at Wellesley College. A few years ago, she contacted Afropop Worldwide to say she was a co-trustee of a large collection of rarely heard songs from Somalia. These songs date from between about 1955, when the country was approaching independence, and 1990, when it was disintegrating into a devastating period of civil conflict. 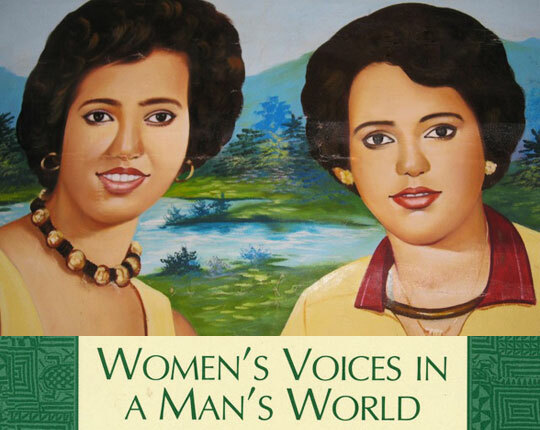 Professor Kapteijns said that the love songs in particular in this collection reveal a now-hidden chapter in Somali history, a time when the country was actively searching for a way to balance old tradition and culture with the coming wave of modernity. Kapteijns provides the principle voice in the resulting Afropop program, Reconstructing Somalia: Love Songs at the Birth of A Nation. Afropop’s Banning Eyre braved a February snowstorm to visit Kapteijns in her office at Wellesley. Here’s their conversation. Banning Eyre: Welcome. Let’s start at the beginning. Introduce yourself and tell us how you got involved with Somali music. But before we do that, how do we correctly pronounce your name? Lidwien Kapteijns: The Somalis call me Prof. Ladan. Actually, it’s a beautiful name. Ladan has the connotation of health and wealth. We’re not talking about Michael Jackson wealth, of course. But in English, I’m Lidwien Kapteijns [LID-win CAP-tains] with my forefather being the captain of the archer’s guild of our village in Holland. It is. It’s the same word. As for me and Somali music, it’s a long story. I was a student at the University of Amsterdam in Holland, and I got really interested in Africa, and I realized that, in Holland, you couldn’t do African history. This then brought me to London to the School of Oriental and African Studies (SOAS), where I did an M.A. called the Area Study of Africa. At that time you were not allowed to do Arabic, which was the language I was studying, as part of an M.A. on Africa. So it was actually a second choice for me to do Somali. There was a Cushitic reader whom most Somalis know as Professor Goosh—[Bogumil Witalis] “Goosh” Andrzejewski. He taught Somali and he accepted me into the program. So that’s how I got really interested in the Somali language.